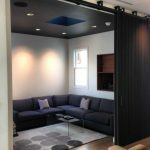 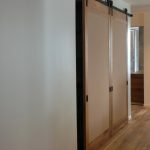 Gaining traction among the best new contemporary architecture designs are classic looks of large sliding barn door both in interior and exterior large sliding barn doors. 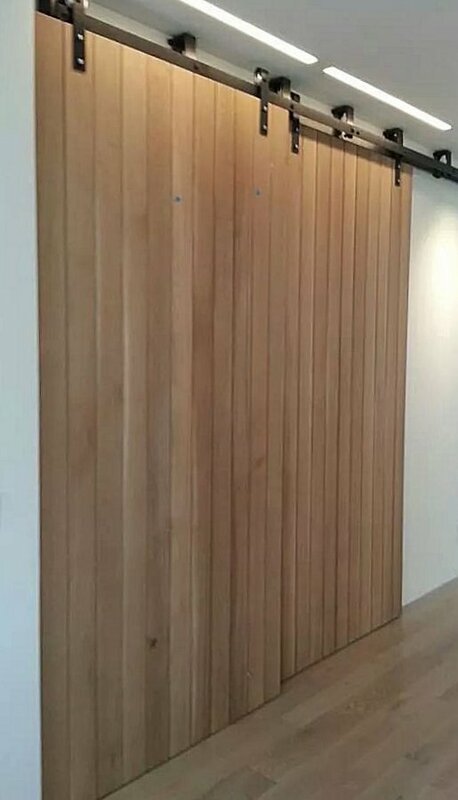 The most popular are the large wood sliding doors, which present challenges – not so much for the designer as – for the end user, construction company, millworks and door manufacturer. 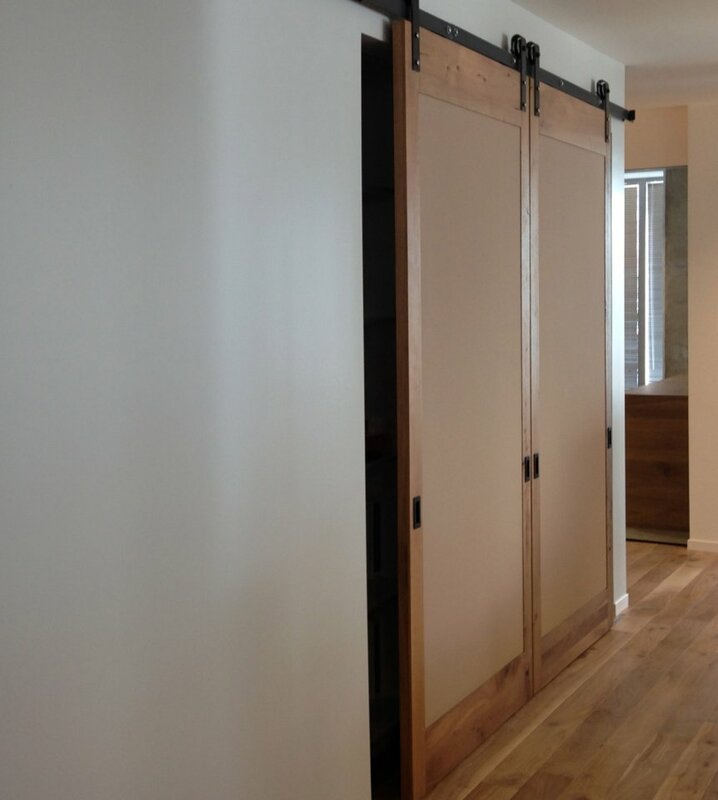 Upon installation, the visual impact of the large sliding barn door makes the best first impression and all parties are thrilled at thrilled results. 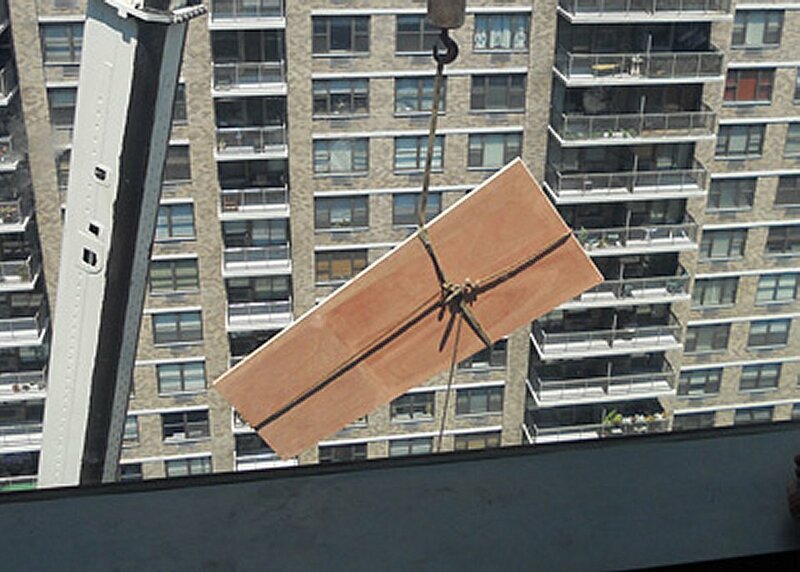 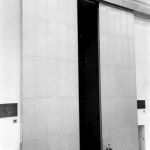 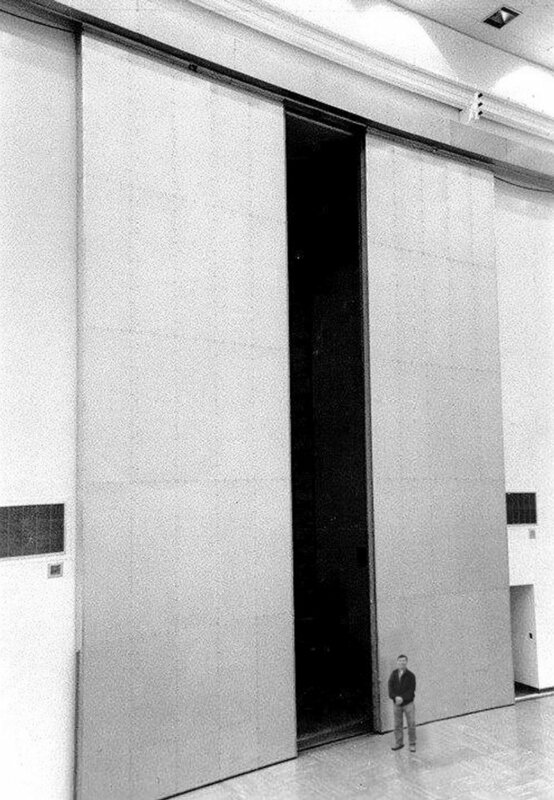 Not long after, as soon as the change in season, the door begins to fail, due to warp or other structural failure. 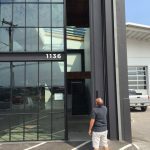 Though this is the mainstay of door repair companies who make their living conducting maintenance on large sliding doors, it is a constant frustration for the homeowner or end user. 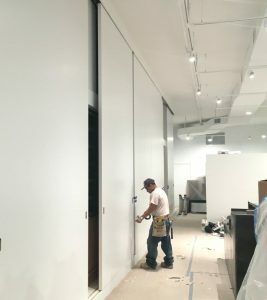 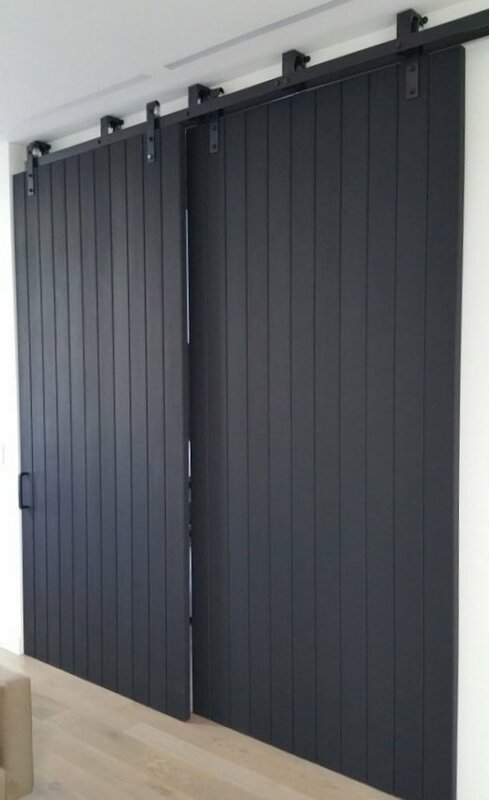 When large sliding barn door are used in exterior applications, the conditions become more problematic as changes in temperature, moisture and varying conditions on either side of the door change, so do the characteristics of the sliding barn door’s surfaces, causing the door to move, lean, bend, cup, twist or warp. 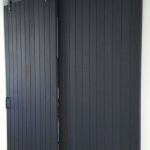 This is an enormous concern to the end user, as loss of energy via an inadequately sealed exterior door adds to maintenance costs and non-securing latching and locking mechanism may also be compromised. 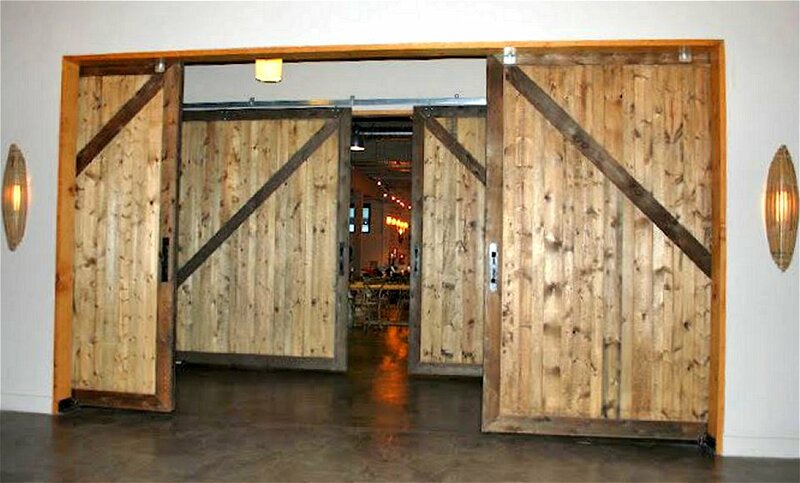 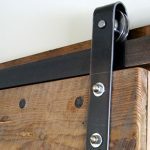 Of all the possible large sliding barn door materials, wood is the most popular and also the most problematic. 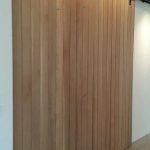 While all other construction materials tend to potential fail periodically throughout the year, or life, of the large sliding barn door, the large wood sliding barn door fail more regularly due to the response of the natural wood grain to environmental conditions. 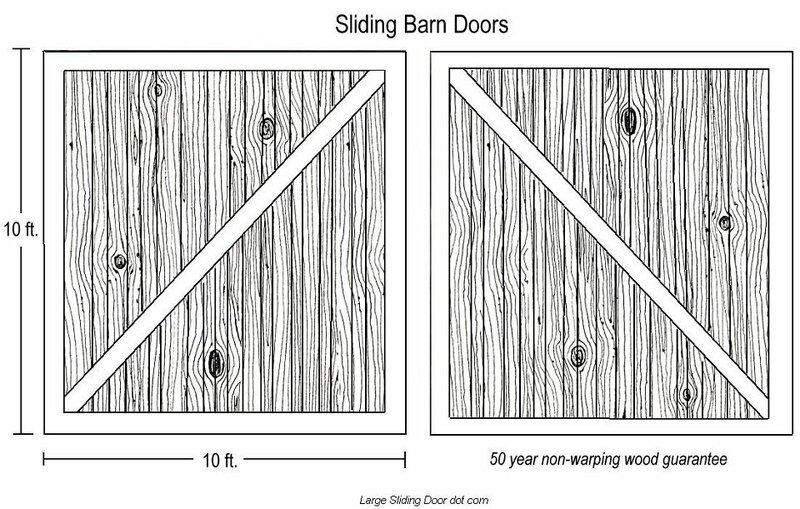 Especially if they are taller than 84 inches tall. 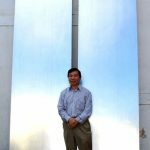 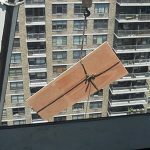 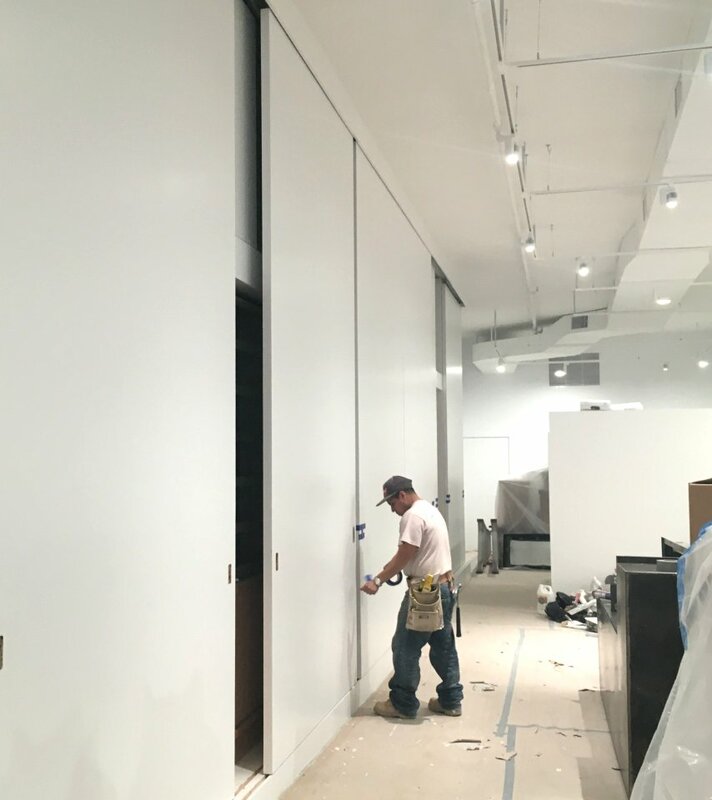 Even AWI standards are not applicable to any door that exceeds 84 inches due to their tendency to perform so poorly, no matter the method used to manufacture the doors, and, of course, wood doors cannot be made to remain straight and true; that is, until now. 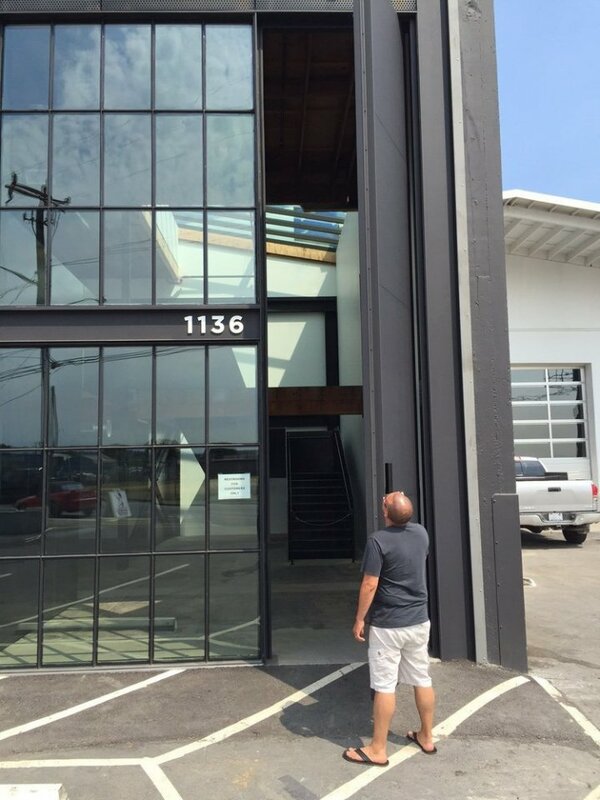 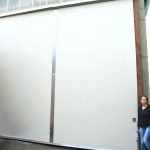 Our patented methods and materials enable us to help create a door that remains straight and true regardless of the construction materials used in the manufacture of the large sliding barn doors. 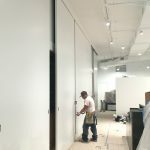 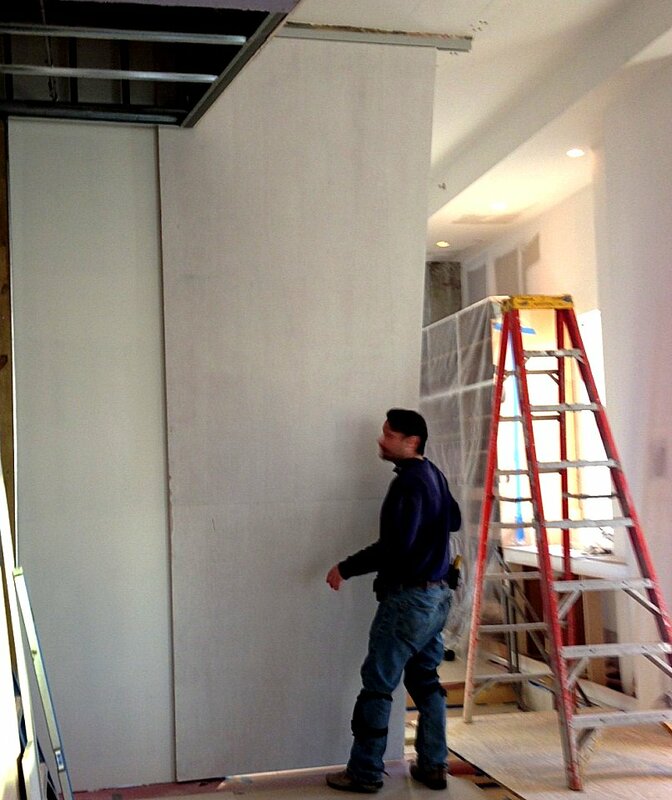 In fact, this revolutionary process outperforms any other large sliding door solution, bar none. 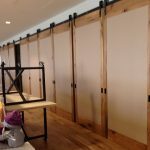 We have the ability to guarantee any large sliding barn door not to warp, bend or twist for a full 50 years, even if the large sliding barn doors are made of wood. 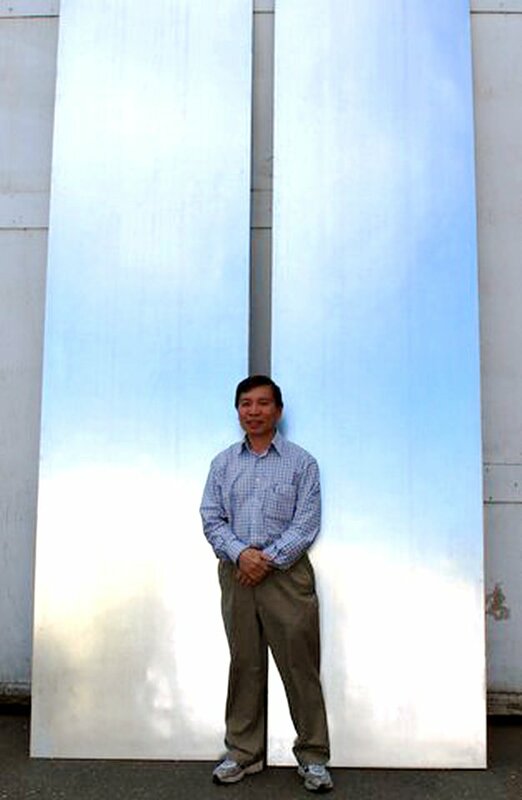 No one can make a more high-precision door because our door core has the highest precision (+/- .006 inch) tolerances. 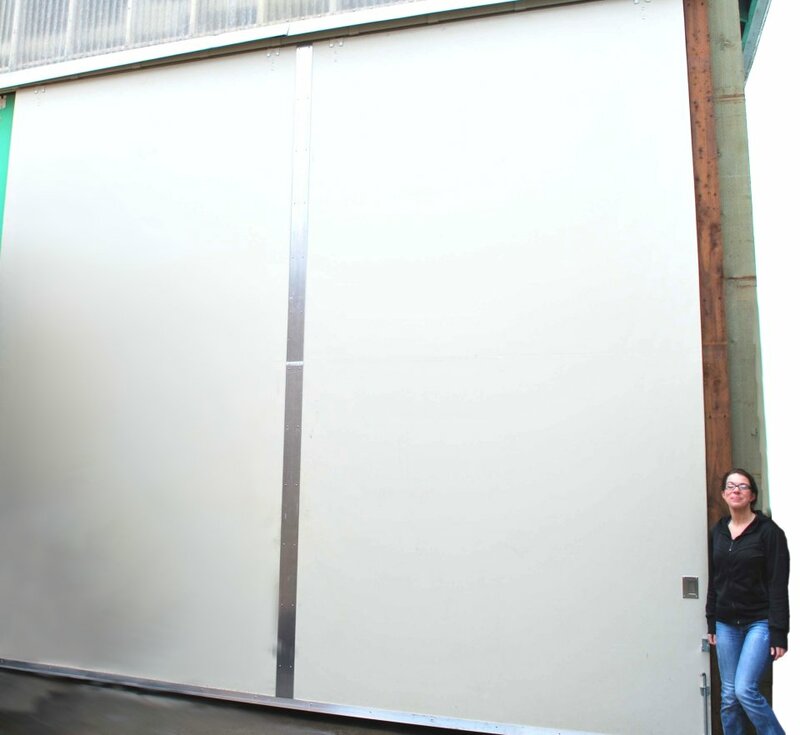 Plus our manufacturing process utilizes the best forms of adherence which is formaldehyde-free and outlasts other production methods. 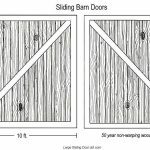 Our patented torsion box composite solid structure weighs a fraction of other materials and so that means your large sliding barn doors weigh much less than other large sliding barn doors. 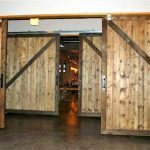 Having lighter weight large sliding barn doors means less expensive barn door hardware, easier and faster transportation and installation saving you money, energy and the environment all along the way.